"Design of Cold-Spray 6061 Aluminum Alloys for Fatigue Crack Growth Resistance in Structural Components, Coatings, and Repairs"
Cold-spray materials present several advantages associated with the solid-state character of the deposition process. Improved processing conditions have led to significant mechanical properties increases, making these materials suitable for both structural components and coatings/surface-repairs with enhanced corrosion, fatigue, and fatigue crack growth resistance. Thus, there is a critical need to understand the influence of the input powder, processing parameters, and post-processing conditions on the fatigue response and coating-substrate interfacial behavior for high-integrity cold-spray applications. Systematic fatigue crack growth studies were performed on helium-processed 6061 free-standing parts and coatings in as-sprayed, annealed, and T6 conditions, at room temperature and various stress ratios. Fatigue crack growth mechanisms at different stages were established at the microstructural scale of cold-spray materials, and a microstructure-based model was successfully developed to predict crack growth rates and fracture toughness values. The interfacial behavior between 6061 cold-spray coatings and wrought substrates was also examined, and crack-interface stability maps were uniquely created. These developments will be presented and discussed for optimized design of structural components and coating/repair applications with cold-spray materials. Dr. Diana Lados is the Milton Prince Higgins II Distinguished Professor at Worcester Polytechnic Institute (WPI), and the Founder and Director of the Integrative Materials Design Center (iMdc), an industry-government-university consortium established at WPI in 2007, dedicated to advancing the frontiers of sustainable materials-process-component design and manufacturing for high-performance and reliability. She received her B.S./M.S. in Mechanical Engineering from Polytechnic University of Bucharest in 1997, her second M.S. in Mechanical Engineering from Southern Illinois University in 1999, and her Doctorate in Materials Science and Engineering from WPI in 2004. 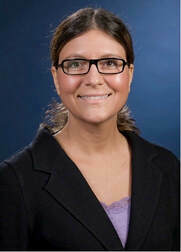 Dr. Lados is credited with significant research contributions in the areas of materials design, characterization, evaluation, and computational modeling for fatigue, fatigue crack growth, and high-temperature performance, as well as for her original work in materials processing and advanced manufacturing. Dr. Lados is the recipient of numerous awards and honors, including ASM Fellow–Class of 2017, 2014 Brimacombe Medal from TMS, 2014 Ralph R. Teetor Educational Award from SAE, 2013 Inaugural Constance Tipper Silver Medal from the World Academy of Structural Integrity, 2012 ASM Silver Medal, a “Woman to Watch” in New England for innovation and leadership, an NSF-CAREER Award, and was chosen in 2010 by the National Academy of Engineering (NAE) to participate in the prestigious Frontiers of Engineering symposia for both exceptional research and innovative education. She has more than 85 publications, 250 technical presentations and invited lectures, and several book and patent contributions. She is a member of several professional societies (including ASM, TMS, Alpha Sigma Mu, Sigma Xi), organized symposia at international conferences, and chaired several committees (including Metallurgical and Materials Transactions A Board of Review, Material Advantage Committee, WPI Chapter of Sigma Xi, Central Massachusetts Chapter of ASM). Dr. Lados serves on the ASM’s Awards Policy Committee, and is the Vice President of Alpha Sigma Mu. Jerry Wang is a postdoctoral researcher in the Department of Chemical Engineering at MIT, and Assistant Professor of Civil and Environmental Engineering at Carnegie Mellon University (starting Fall 2019). His research interests center around the use of nanoscale mechanics, molecular simulation, and high-performance computing to tackle problems in the water-energy nexus. He received a B.S. in Mechanical Engineering, Mathematics & Physics from Yale, an S.M. in Mechanical Engineering from MIT, and a Ph.D. in Mechanical Engineering and Computation from MIT. From 2014 to 2018, he was a Department of Energy Computational Science Graduate Fellow. Outside of work, Jerry is (by hobby, not by trade) enthusiastic about comedy. As an undergraduate, he wrote with The Yale Record , “America’s Oldest Collegiate Humor Magazine.” In recent years, he has become especially interested in scientific comedy, if such a field actually exists in the first place. His dessert presentation will aim to supply positive evidence of this claim, as assessed through 15 minutes of live experimentation and data collection. Notify one of the officers if you are unable to attend after registering.